For the first time since 2009, Germany expects negative inflation, at -0.3 percent in January. In some states, prices are falling their fastest since 1950. Consumer prices fell -0.5 percent in January, according to the first estimate from Germany's statistic office. The last time prices were this low in Germany was July 2009, after the financial crisis spread to Europe. The revised results for January will be published on February 12, 2015. In December, inflation in Europe’s biggest economy hit a 5-year low of -0.2 percent, a far cry from the European Central Bank’s target of 2 percent. The eurozone will report its total 2014 inflation figures on Friday, expected to fall between the range of -0.2 and -0.5 percent. Data from four of the country’s 16 federal states show a fall below zero in January, according to statistics from the German states published Thursday, Reuters reported. 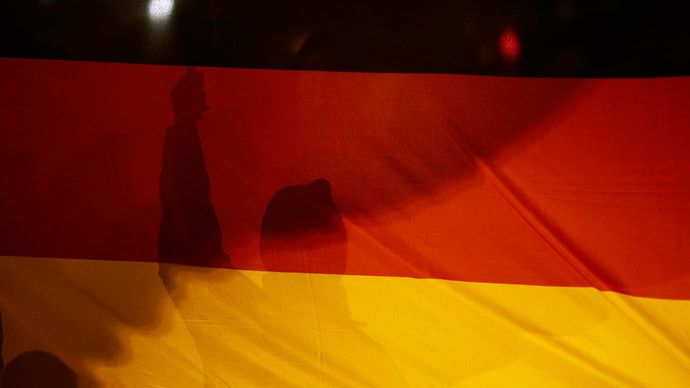 "Data from the German states suggest that national HICP inflation dropped below zero in January for the first time since October 2009, with a more negative reading than had been expected," Jennifer McKeown, senior European economist at Capital Economics, told Reuters. North Rhine-Westphalia (NRW), with the cities of Dusseldorf and Cologne and the biggest population of any state, saw consumer prices decline their steepest since 1950, with the cost of living falling 0.4 percent in January. Governments usually worry more about inflation, the increase of prices, than deflation, the decrease, but both are equally troubling. Deflation benefits consumers and increases their purchasing power, but it can also depress an economy because people are less incentivized to invest and it can spur unemployment. It also makes those that already have debt more indebted. And Europe has a lot of debt. Higher inflation could help countries pay off debt quicker. As a whole, the eurozone had an inflation rate for 2014 at 0.2 percent, and on Friday will release December data, which is also expected to be negative. The euro currency, shared by 19 nations, has been stuck in deflation, especially in highly indebted countries like Greece. Last week, the European Central Bank decided to begin a €1.14 trillion stimulus program, aimed at increasing inflation and bring it closer in line with two percent. Germany has openly opposed the stimulus program, as it considers the move would further aggravate highly-indebted EU nations.